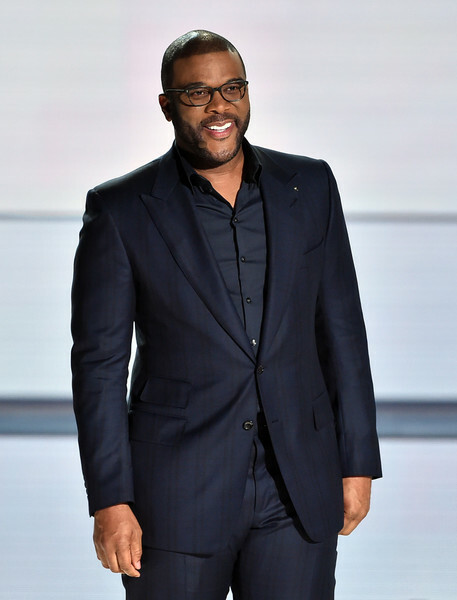 Host Tyler Perry appears in “The Passion”, an epic musical event airing LIVE from New Orleans on FOX, at Woldenberg Park on March 20, 2016 in New Orleans, Louisiana. *Atlanta-based Tyler Perry has added his voice to Hollywood’s call for Georgia’s Gov. Nathan Deal to reject a bill that discriminates against the LGBT community, according to Deadline.com. “At Tyler Perry Studios, we believe in inclusion and equality for all people,” a rep for Tyler Perry Studios said Friday. Perry is expanding his footprint in Georgia with an expansion of his studio into the former site of Atlanta’s Fort McPherson Army Base. Perry’s current production facilities are a 200,000-square-foot complex in southwest Atlanta that includes five soundstages and a 400-seat theater. Perry’s statement comes just days after he presented the Palm Sunday musical The Passion on Fox, and follows a Disney announcement on March 23 that it would pull its business and productions out of Georgia if Deal signs the religious liberty bill into law. Netflix, Time Warner, CBS, Fox, Sony Pictures, Steven Spielberg’s Amblin Partners, NBCUniversal, Discovery, Open Road Films, The Weinstein Company, Lionsgate, MGM and AMC, whose TV series “The Walking Dead” is made in Georgia, are among those who have urged a veto of the bill. As well, a plethora of big names like “Empire” co-creator Lee Daniels, “Hunger Games” EP Nina Jacobson, Greg Berlanti and Aaron Sorkin are among those who signed a letter on March 24 from Human Rights Campaign condemning the legislation in the lucrative tax incentive rich state. Opposition to House Bill 757 isn’t exclusive to Hollywood – the NFL and the Atlanta Hawks organization are against it also.